WooCommerce is one of the best e-commerce solutions that gives you complete control to sell anything. WooCommerce’s biggest benefit is that user has nearly endless customization options to exercise with their products, without having to know too much about the technical side of things. If you want to increase the features and capabilities of your online store, you may need to install extensions or sometimes we use code snippets to customize the functionalities. In this post, I’ve shared some code snippets to hide or remove the quantity (number of items) field from WooCommerce Product. This may require when you want your customers to order or buy only one item at a time that is disabling the ability to add or subtract quantity. Let’s find how we can hide or remove the quantity field from WooCommerce Product. This code snippets can be used when you realize, you need to hide or remove the quantity but there are lots of products. Warning: using this option will makes it impossible to have a product more than once in your shopping cart. Subsequently clicking on “Add to cart” button will trigger a warning that this product can be added only once in your cart. Thanks for the coding, where do I place these code? I only want to remove the quantity from the product page not the cart page. is it possible to hide the field only from specific simple products, not all? When I add the code it is still possible to change the quantity in cart page. Any tipps :)? 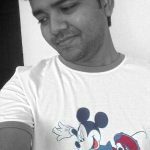 Hey Parameshwar Roy, thank you for this interesting article for removing the quantity field from product as i also want to share one of the tutorial to hide add to cart button in WooCommerce (https://www.wpblog.com/add-to-cart-button-in-woocommerce-store/) . Let me know do you have any other way to do this ? the quantity of 2 products per purchase ? Method 1 worked perfectly. Thank a lot man!!! How do i remove quantity from variable product, so you cant see the stock on the website?